NO AWKWARD HAIR LOSS CLINICS. A PILL A DAY CAN KEEP YOUR HAIR LOSS AWAY. 1 IN 5 MEN IN THEIR 20’s EXPEREINCE SIGNIFICANT BALDING. 1 IN 3 MEN IN THEIR 30’s EXPEREINCE SIGNIFICANT BALDING. 1 IN 2 MEN IN THEIR 40’s EXPEREINCE SIGNIFICANT BALDING. FOLLICLES DIE, THEY CAN NOT BE REVIVED. CLINICALLY PROVEN HAIR GROWTH MEDICATION. EASY AND AFFORDABLE MONTHLY SUBSCRIPTION. 100% ONLINE & DISCREET PACKAGING. CLICK ON “TAKE ACTION” TO LOGIN TO OUR ONLINE CLINIC. FROM OUR ONLINE CLINIC YOU CAN VIEW OUR SCIENTIFICALLY PROVEN HAIR GROWTH MEDICATION AND THE COST OF THE MONTHLY SUBSCRIPTION. AFTER YOU PURCHASE YOUR MONTHLY SUBSCRIPTION. THE DOCTOR WILL CONTACT YOU VIA VIDEO CALL TO ASSESS YOUR HAIR LOSS AND DISCUSS YOUR TREATMENT PLAN. THE PHARMACY WILL CREATE YOUR HAIR LOSS TREATMENT IN CONSULTATION WITH THE DOCTOR, THE MEDICATION WILL BE SENT OUT TO YOU IN A DISCREET PACKAGE EVERY 3 MONTHS. A VIDEO CALL CONSULTATION WITH AN AUSTRALIAN REGISTERED DOCTOR TO ASSESS YOUR HAIR LOSS AND DISCUSS YOUR HAIR GROWTH TREATMENT PLAN. 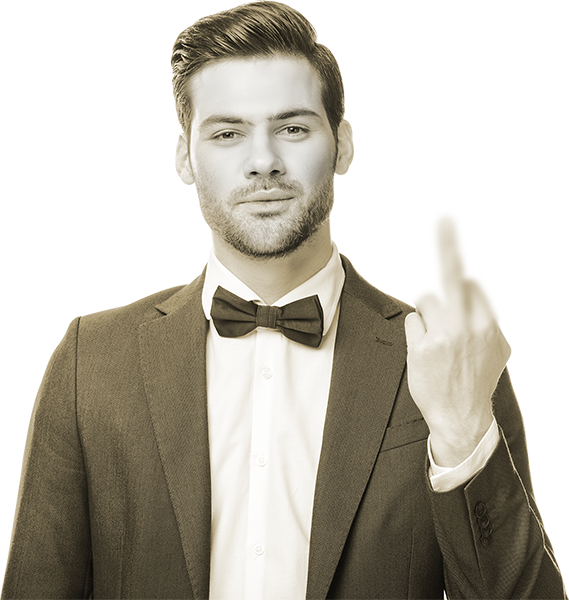 (If you don’t wish to continue after your consultation with the doctor, please email us within 48 hours of the consult and we will refund your $89 and cancel your subscription at no cost to you). YOUR CLINICALLY PROVEN HAIR GROWTH MEDICATION SENT TO YOU CONVENIENTLY AND DISCREETLY EVERY 3 MONTHS UNLESS YOU CANCEL YOUR SUBSCRIPTION. A HAIR LOSS SPECIALIST IS ASSIGNED TO YOUR ACCOUNT TO HELP YOU WITH ONGOING SUPPORT AND MONITORING THROUGHOUT YOUR HAIR GROWTH JOURNEY. WHY IS THE COST SO MUCH CHEAPER THAN PHYSICAL HAIR LOSS CLINICS? A: Physical hair loss clinics can charge huge prices for the exact same active ingredient medication due to their expensive overheads. They have huge office leases and big advertising campaigns. We are 100% online and we pass those savings on to you. We charge a very affordable monthly subscription which includes your doctor consultation, medication, monitoring and ongoing support. 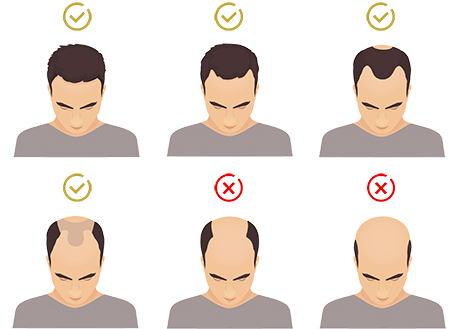 WHY DOES MALE PATTERN HAIR LOSS OCCUR? A: The founder of Hairyhair started losing his hair in 2011 at age 24, thanks to him acting fast and taking hair loss treatment medication, he was able to stop his hair loss and regrow his own hair. He still has a full head of hair all these years later thanks to the TGA approved medication he is taking. He’s now on a mission to provide this medication to other Australian men who are experiencing hair loss just like he did. WHAT DO I GET WITH MY MONTHLY SUBSCRIPTION? A: You will get an initial video call consultation with an Australian Doctor where the doctor will assess your hair loss , discuss your medication options and answer any questions you may have. The doctor will also tailor a hair growth treatment plan using TGA approved, scientifically proven medication. You will get your medication mailed to you every 3 months in discreet packaging from an Australian pharmacy. You will have a personal hair loss consultant to support you through your hair growth journey, and the freedom to cancel your monthly subscription any time you want. WILL THIS HAIR GROWTH MEDICATION WORK FOR ME? A: Hair loss medication has been researched for many years. Currently there are only 2 TGA & FDA approved drugs on the market for Male pattern hair loss. These 2 drugs combined have a 94.1% improvement rate in hair count in men suffering from male pattern hair loss* . Early medication is crucial for success because once the hair follicles have died, they cannot be revived. So the further along you are in your hair loss , the harder to make a full recovery. Acting fast at the early signs of hair loss is the key. DO I RECEIVE A TABLET OR TOPICAL SOLUTION? 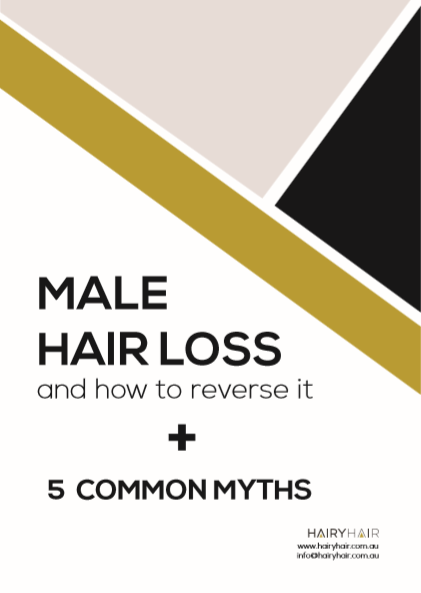 A: Hair loss doesn’t happen over night and hair growth doesn’t either. Hair loss occurs slowly over years, so to stop it and reverse it can take some time. Most patients on this hair loss medication start seeing great results after 6 months, optimum results can occur at the 12 month mark. A: Absolutely, If you wish to cancel for any reason just login to the online clinic and cancel your subscription. Make sure its more than 5 days before your next subscription payment so you don’t get debited another month’s payment. DO I SPEAK WITH AN AUSTRALIAN DOCTOR? A: Yes, you must speak with the doctor before you receive your medication. The hair loss doctor is independent from Hairyhair and fully registered under the health Practitioners Regulation National Law. As we are an online hair loss clinic dealing with prescription medication, the doctor will call you via video call to assess your hair loss and eligibility before we can send out your hair loss medication. If after your doctor consultation you do not wish to go ahead, then please let us know within 48 hours of the consult and we will refund your first month’s subscription payment and cancel your subscription at no cost to you. A: Absolutely not, Hairyhair uses TGA and FDA approved medication that’s clinically proven to stop male pattern hair loss and regrow your own hair without any surgery. Your results will depend on how early in the hair loss process you start your treatment. These medications used to treat male pattern hair loss have a 94.1% improvement rate in hair count in men suffering from male pattern hair loss*. HOW LONG WILL I HAVE TO TAKE THE MEDICATION FOR? A: There is currently no known cure for male pattern hair loss in the world. The current TGA approved medications for hair loss will stop your hair loss , regrow your own hair and maintain it, but only for as long as you are taking the medication. Once you stop taking the medication your original genetics will take over. A lot of men have happily discussed how this medication has bought them extra time with hair while they are young and at the peak of their youth. This medication has given them hope and confidence looking into the future. In the case of the founder of Hairyhair, he started going bald in 2011 at age 24, this medication allowed him to regrow his own hair and maintain it to this day. A: Press the “TAKE ACTION” button and create your login details to gain access into our online hair growth clinic. 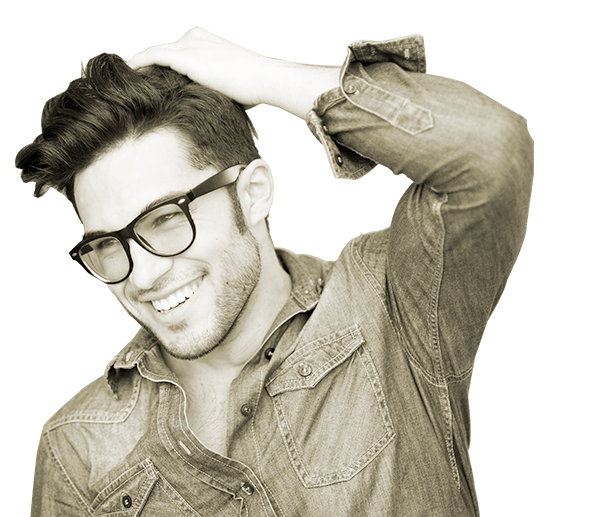 From our online clinic you will be able to: -View the cost of our monthly hair growth subscription. Purchase and start your monthly subscription. (The doctor will contact you after you purchase your subscription to assess your hair loss and discuss your eligibility. Then the medication will be sent out.